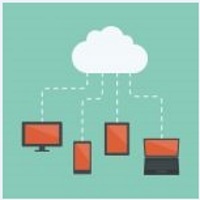 For enterprises worldwide, simplifying and modernizing systems is increasingly central to success. 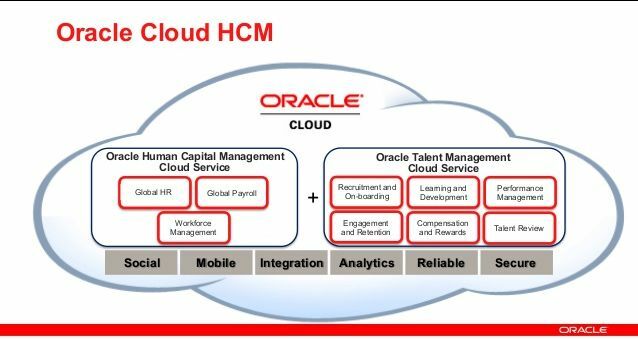 Oracle Human Capital Management (HCM) helps enterprises realize the full potential of their employees through talent management, social relationship management and global human resource functions. • Talent Acquisition & Retention – Large organizations face the challenge of fierce competition for talent every day. Yet disjointed systems, inefficient processes and siloed information start to hinder their ability to attract, recruit and retain key employees. Heavy demands on budgets and resources combined with the need to stay competitive create a real pressure point, especially when hiring, retaining and training key employees. • Recruitment & Performance Management – Large enterprises will not be efficient if they use manual processes to recruit and retain key employees, as there may be hundreds or even thousands of them. They need a SaaS-based solution that is ready to use quickly and ties together key roles and responsibilities with internal and external recruitment. This solution also needs to link back to the human capital system of record to support employee lifecycle management from the hiring to the leaving process. • Alignment with strategy – Enterprises need to ensure that the entire HCM lifecycle supports their overall strategic objectives. Managers need the right information at the right time to plan for the future. Due to the fierce competition for talent and the need to prepare their business for tomorrow’s challenges, they need to implement solutions quickly and ensure they deliver fast time to value. Oracle HCM Cloud’s innovative portfolio is built to help enterprises stay competitive – without the cost and disruption of on-premise systems. Oracle HCM Cloud delivers the insight, analysis and tools you need to ensure you have the right workforce for your organization’s needs – both now and in the future. Kiote Services, being partners of Oracle, trust us to provide you with all the necessary Oracle Social Cloud offerings tailored to suit your business, that is needed to manage how you engage and interact with your customers which in turn helps your marketing, customer service and sales efforts. 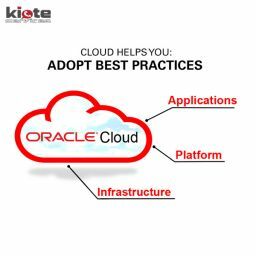 At Kiote Services, as partners of Oracle, we are committed to implementing a successful migration and integration of Oracle Cloud – Human Capital Management Solution for your organization.